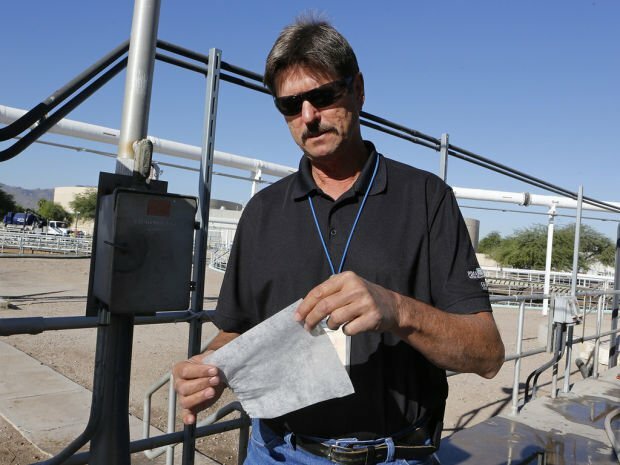 Plant manager Frank Gall says wet wipes are causing havoc with the sewer system at the Roger Road wastewater treatment plant. ﻿The wipes have been gaining in popularity but don’t break down like toilet paper. Frank Gall ﻿ has had a dirty job for the last 30 years. On a regular basis, the plant manager for one of the county’s wastewater treatment plants sees something odd that has been flushed down the toilet. Money, dead pets and other foreign objects, he says. But something new is finding its way to the Roger Road wastewater treatment plant more and more every day. Moist towelettes and hand wipes might say flushable on the package. But Gall has tons of evidence they should never go into the toilet or otherwise go down the drain. The clothlike wipes may lose their bleached white hue as they make their way through the sewer system, but otherwise remain intact when they find their way to the treatment plant. They don’t break down like toilet paper, which is designed to disintegrate while traveling through miles of sewer lines. Instead, the wipes made for cleaning up virtually everything are mostly being filtered out with the rest of the solid waste being put into the sewer system on a daily basis. A massive machine creaks ﻿and groans as it scrapes out things that most people would never want to touch even if they were being paid. Pointing to a metal cleaning brush, Gall said they are the last line of defense in keeping material away from sensitive equipment like water pumps at the treatment center. 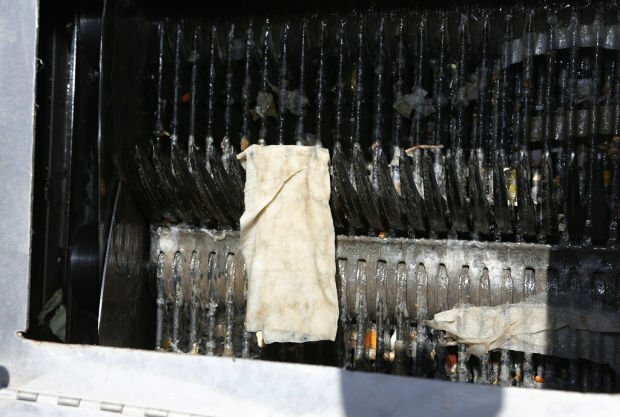 Once the machine filters out the solids, including those wipes, it is ground up and the excess water is squeezed out before being hauled off to the landfill. Where, Gall believes, they should have gone all along. County officials are also concerned the wipes could clog underground pipes, leading to pipes breaking and sewage overflowing into the streets. Norm Bernard, ﻿the owner of Mr. B’s Plumbing Sewer & Drain, gets plenty of calls related to flushed wipes that never make it to the county’s wastewater treatment plants. He offers his customers some simple advice — either put them in the trash or be prepared to call him again. Contact reporter Joe Ferguson at jferguson@azstarnet.com or 573-4346. Follow him on Twitter @JoeFerguson .